When I visited New York for the first time last fall, I could barely go more than a city block or a subway stop without running into an aspiring artist, musician or performer of some kind. 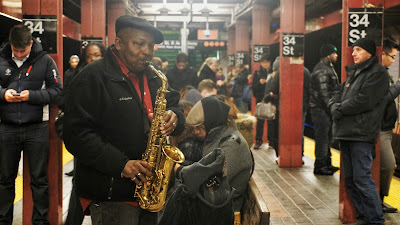 A guy belting out on a saxophone at a subway stop. A young opera singer performing under a bridge in Central Park. One older gentleman was even banging on a couple of large empty buckets like they were bongo drums. 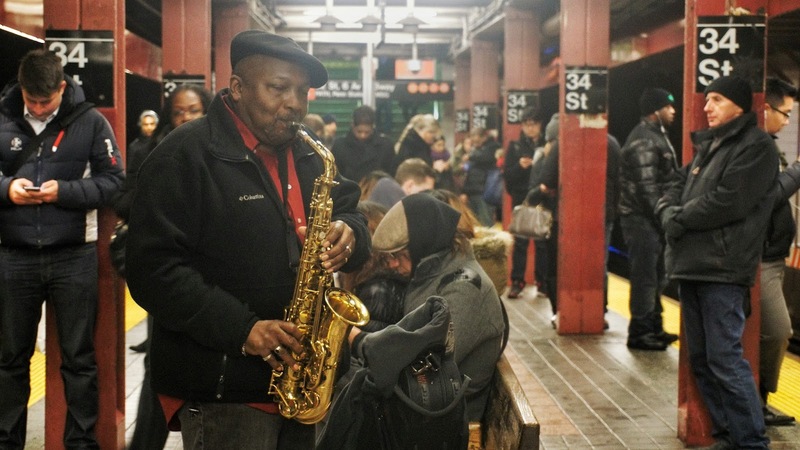 Hundreds, maybe even thousands of people pass right in front of these subway musicians and street performers everyday. Most of them probably pay them little attention, street performers being as common as street lights in the city that never sleeps. If the performers are lucky, a few pedestrians stop and listen for a few minutes until their train arrives. And if they’re luckier still, a fraction of those who listen will drop in some spare change and loose dollars. I’m sure many of them dream about landing on a bigger stage. Or maybe they just love to play. Both could be true. Regardless, they found a subway or street corner and decided to let the world hear what they had to offer. Maybe your subway is a little online business you created, a blog you started or a little studio where you display your art. It could be the job you go to everyday. All the violinists performed roughly the same number of hours over the first several years of playing, but beginning at around 8-years-old the practice hours began to diverge and an interesting observation was made: the elite violinists of the group had put in 10,000 hours by the time they were 20 years old while the rest had played considerably less. 10,000 hours. That’s how long it takes to become an expert at a particular subject or skill. Put it another way: If, starting today, I decided to practice piano for two hours every day, it would take me about 13-and-half years to become an expert pianist. Makes you kinda wish that download feature in The Matrix where Keanu Reeves learns kung fu in a matter of seconds was real, doesn’t it? In New York, I wondered how many days, months or even years some of those subway performers had been out there for. Some of them were extremely talented, capturing my attention and the attention of others who happened to walk by. That kind of talent and ability doesn't happen by accident. Getting good at something demands a commitment to consistency -- a willingness to keep showing up in the same spot and keep putting in the work. Once we find out what we want to do and why we want to do it, we have to find a place to actually do it. We can't become an expert unless we find our own subway -- a place where we can do our thing, receive feedback from others and put in the hours we need. If 10,000 hours of doing X, Y, or Z sounds intimidating, that’s because it is. You’re going to be spending a lot of time in that subway of yours. And as you put in your hours, you’re going to realize one of two things: you really do love that thing you’re doing... or you don’t love it as much as you thought you did. Don’t get me wrong, there are times where I don’t necessarily feel like writing and would rather do something else. There are even parts of the writing process I don’t really (e.g. I loathe transcribing interviews). How did I figure out writing was my thing? I weighed what I loved and didn’t love about writing. The former outweighed the latter. I wrestled with my motivations and figured out my ‘why’ (honestly, I still regularly do this). I figured out I can’t not write. It’s part of who God created me to be. Writing is a part of my worship. When I’m not writing, I feel like something is missing. That’s how I know this is what I want to do. That’s why I’m still working on my 10,000 hours. Maybe this thing you want to try isn’t for you. But maybe it is. The only way to find out is to go find a subway, and do your thing.